The Vital Concept - B&B HOTELS cycling team is a French professional road cycling team created in 2017 by former rider Jérôme Pineau. 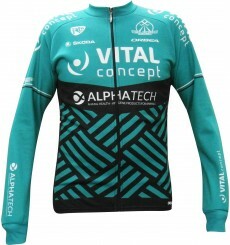 Based in Theix, Morbihan, Vital Concept has the status of a professional continental team. Unisex socks of the 2019 VITAL CONCEPT professional cycling team. Official cycling gloves of the Vital Concept pro team. 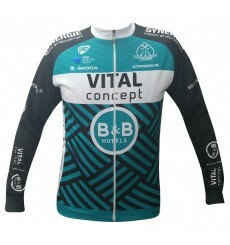 Official kid's jersey of the 2019 VITAL CONCEPT professional cycling team. Comfortable cycling jersey for the summer. Kid's short of the 2019 VITAL CONCEPT Pro Team. 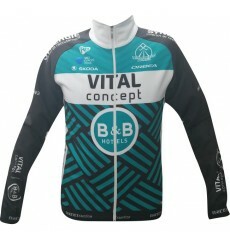 Official bibshorts of the VITAL CONCEPT 2019 pro team. 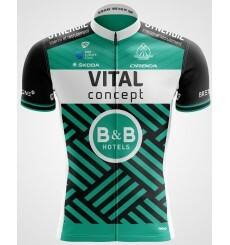 Official jersey of the 2019 VITAL CONCEPT pro team. Official kid's jersey of the 2018 VITAL CONCEPT professional cycling team. Comfortable cycling jersey for the summer.